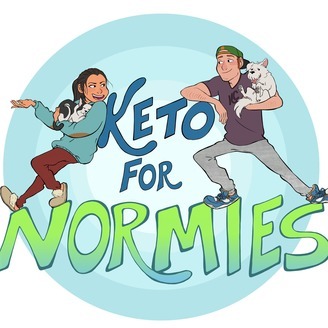 Welcome to Keto For Normies, a podcast hosted by Matt and Megha, the founders of KetoConnect, a ketogenic food blog and YouTube channel. Weekly we will have on guests from all walks of health, nutrition and business to give you insight into their relationship with the diet guidelines they follow and the businesses they run. 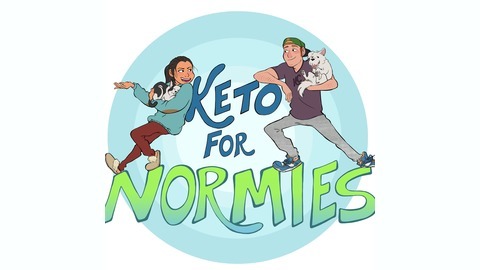 We will also discuss specific topics surrounding the health and science of a ketogenic diet, give our personal advice and tips for being successful on a keto diet, and answer listener questions! Hosted By: Megha Barot and Matt Gaedke Email: Ketoconnect@gmail.com Food Blog: Ketoconnect.net Podcast Review Form: https://www.ketoconnect.net/podcast-review/ -- Intro Music: Music by Joakim Karud http://youtube.com/joakimkarud Music by @joakimkarudmusic. Dang Foods Use THIS LINK or use KETOCONNECT for 10% off your order! Perfect Keto Use this LINK for $15 off orders over $50 or more!